A portable Wi-Fi router can be a very handy thing to have when traveling. If you happen to get a room that has a poor Wi-Fi signal, a portable router will allow you to create a wireless access point right in your room from the Ethernet cable provided for internet access — assuming there is one. In more budget accommodations, the chances of getting a room with its own Ethernet connection are pretty slim, and this is where it becomes crucial that your travel router also works as a repeater. A Wi-Fi repeater does as its name suggests: it picks up a Wi-Fi signal and repeats it, passing the original connection on to your other devices. So, if that room you’re staying in has no Ethernet cable and poor Wi-Fi reception, having a repeater can mean the difference between standing by the window to check your email and doing so from the comfort of your cozy holiday bed. By using a smartphone app such as Wifi Analyzer you can walk around the room to find Wi-Fi sweet spots — i.e. that spot by the window or the door that actually gets a decent signal from the Wi-Fi network provided by your hotel or guest house. Once you find a suitable sweet spot, it’s just a matter of setting up the repeater to connect to that network, which will in turn rebroadcast it to your laptop, tablet or smartphone. 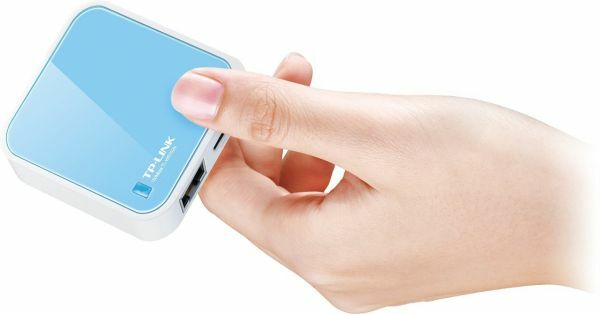 Described as a 5-in-1 portable router, this little guy is just 3.5 x 1.5 x 0.5 inches (90 x 38.9 x 12.8 mm). It comes with a USB power supply, MicroUSB cable, Ethernet cable and CD (which you probably don’t need) and is back by a 2-year warranty. If you’re geeky enough and you don’t mind voiding the warranty, you can install OpenWrt alternative firmware on it for even more functionality. You’ve may not have heard of TP-Link, as they’re an up-and-coming manufacturer of networking products, but they’ve developed a good reputation for providing excellent bang-for-the-buck networking gear. 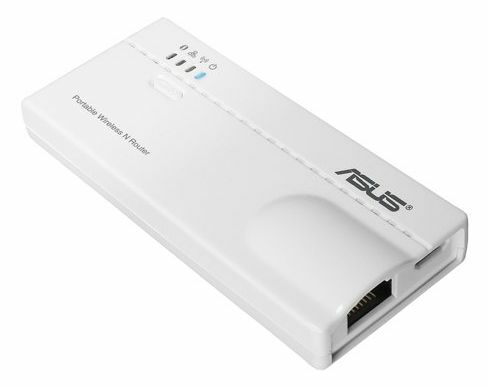 Measuring just 2.2 x 2.2 x 0.7 inches (56 x 56 x 18 mm), this can do all the same things as the Asus router above for approximately half the price. Power adapter, MicroUSB cable and Ethernet cable are included, and it’s also backed by a 2-year warranty. Note that with either of these gadgets, some familiarity with routers and networking is needed in order to set them up, so if this is uncharted territory for you, I recommend learning how to set it up while you’re still at home with a good internet connection before taking it on the road and trying to set it up in the wild. As a bonus, you’ll then be able to use your new portable router as a repeater within your own home if you have any dead spots where your main router doesn’t quite reach. ← Can’t Load Gmail on your Kindle?